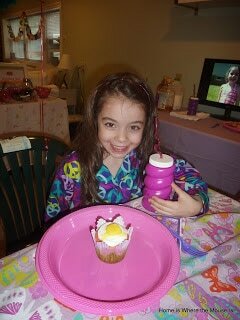 On Monday, our daughter, Bella will be turning 7. 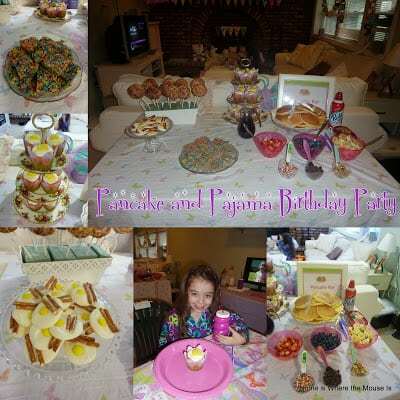 For her 6th birthday, we threw her a Pancake and Pajama Party for her and her friends. 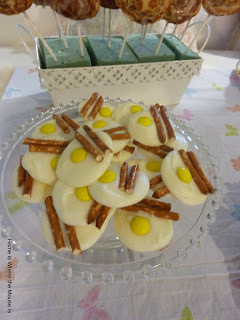 This is a fun and budget-friendly party idea. We asked the girls to come over on a Sunday morning dressed in their pajamas. 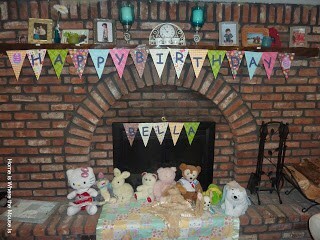 The party space was decorated with blankets, stuffed animals and paper chains. 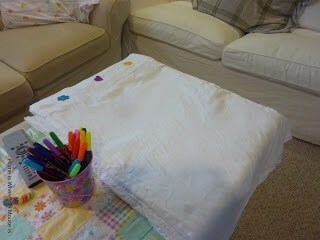 We used sheets as table cloths for the pancake bar and the kids table. 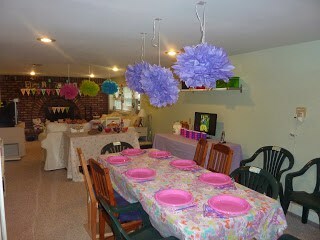 Colorful tissue balls hung from the ceiling to give the party space a fun and whimsical feel. 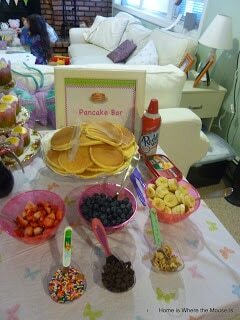 The girls visited the pancake bar first. They had a wide variety of toppings to choose from. 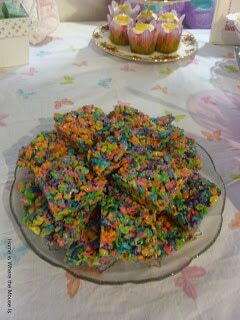 We also treated them to some yummy goodies! 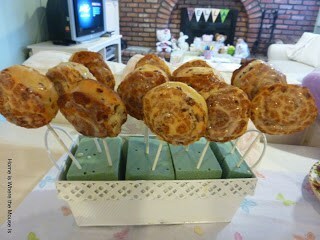 … and Cinnamon Bun Lollipops! 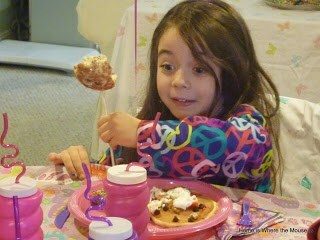 The Birthday Girl loved her breakfast buffet! 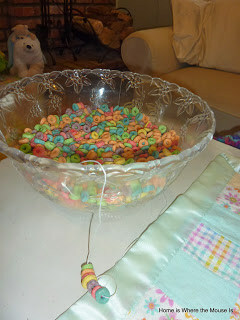 After breakfast, the girls decorated pillowcases and made Fruit Loop necklaces while they watched a movie. 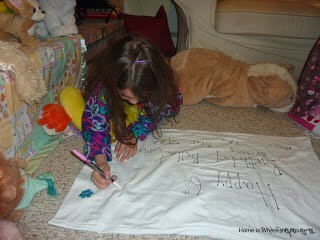 The girls got to take their pillowcases, necklaces and water bottles home as a favor. 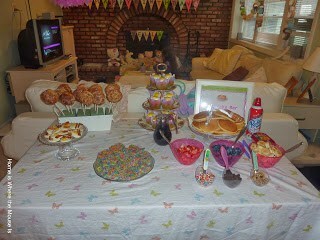 This was such a fun and easy party to plan. 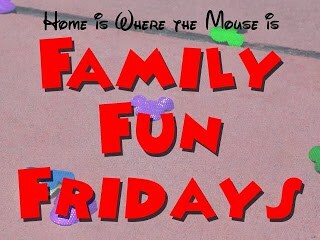 All the girls had a blast and it was a party that Bella will never forget! Thanks for stopping by! 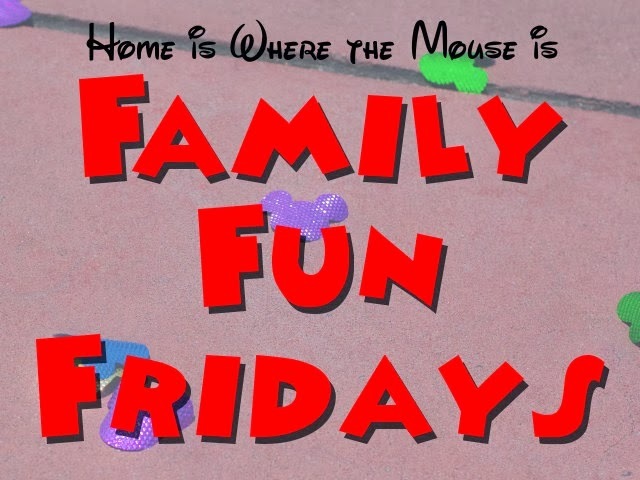 If you’re looking for even more party ideas, check out our Party Ideas tab! 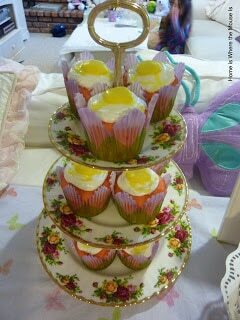 What a cool idea, the cupcakes look awesome!